The Lightning Strike Pathfinder (based around Vaal Lightning Strike) specializes in dealing great amounts of Lightning and Cold damage while using a Claw for the weapon slot. The build can achieve great clear speed, decent single target damage and survivability. When properly built, the Lightning Strike Pathfinder can easily off screen clear multiple packs of monster because of how far the skill’s projectiles can travel, if they not stopped by terrain obstacles of course. The main reason we choose Pathfinder is because of all the utility this ascendancy class provides via very strong flask effects, additional Physical damage gained as extra Elemental damage, Resistance Penetration, and elemental Ailment immunities. The build does not require a lot of currency to get started, but has the room for immense improvement once you are ready to invest. We mainly focus on scaling our damage by having a decently rolled rare Physical damage Claw, considering we convert most of our Physical damage to Elemental damage allows us to stay safe by Freezing most mobs and gain additional damage by Shocking them. You can essentially play on a 7-link gem setup by using the Lioneye's Vision unique body armour. Offensively, you will have great mobility via Whirling Blades in combination with your high Attack Speed. One or two strikes will be enough to clear one side of the screen when fighting common monsters. For single target, you can make use of Ancestral Warchief, Vaal Lightning Strike and War Banner‘s Adrenaline buff. Blood Rage is another offensive tool that should be used. Defensively, keeping your distance and mostly relying on your Evasion and Dodge chance is what you will mostly keep you safe. The build easily achieves over 6,000 Life and has decent sustain via Leech. Freezing enemies is great defensively speaking, they will be disabled even before being able to attack you. For playstyle, staying in safe spots and good repositioning with Whirling Blades will be key for effective clearing and survivability. Once you are a bit more experienced with the build you will be able to smoothly clear while also not worrying about taking that much damage. Nature’s Boon provides a good amount of elemental damage mitigation and great flask sustain. Master Alchemist makes you immune to Shock, Freeze and Ignite during flask effects, which means you do not need to have these rolls on flasks; in addition you have a great amount of increased elemental damage and 20% chance to inflict elemental Ailments. Veteran Bowyer gives great amount of damage in the form of the 10% Physical damage gained as Extra damage of a Random Element and the 10% Elemental damage Penetration; this ascendancy node also augments your flask charges sustain even further. Nature’s Adrenaline is just a good boost to your overall speed. This is what you should be aiming for when it comes to the endgame passive skill tree. We focus on picking all the efficient Claw nodes, along with Elemental damage, Projectile damage and Life along the way. Druidic Rite and Primal Spirit in combination with the Pathfinder ascendancy will make sure we never go out of flask charges. Keystone notables we focus on are Acrobatics, Phase Acrobatics, Arrow Dancing and Point Blank. Vaal Lightning Strike is your signature skill, which should ideally be used in a 6-link. For mobility, Whirling Blades will let you reposition quickly when needed. War Banner is useful in every critical-based build due to the fact it provides decent percent Accuracy Rating and some Physical damage, when dropped down it empowers you with the Adrenaline buff, which is very handy when you need to deal a big burst of damage. An Ancestral Protector can augment your single target damage by a good amount. For auras/heralds, you can make good use of Wrath and one of the two: Herald of Thunder or Herald of Ice. Vaal Lightning Strike fires multiple ground-travelling projectiles in a cone. The Vaal version of the skill leaves an orb on the ground that keeps striking for decent duration, which is helpful for single target damage output. We recommend one link that works great for both clearing and single target. Whirling Blades will allow you to move around quickly. With the following link you will also not have to worry about mana and you will gain the Fortify buff for short duration when you hit an enemy. Ancestral Protector will provide a good multiplier to your Attack Speed, while also doing a decent amount of damage on its own, you should mainly use it against single targets. Immortal Call and Enfeeble can be used in order to reduce damage taken in general. These gems should be kept at level requirement of 40 or lower. War Banner can be used for additional damage in general and the very handy Adrenaline buff it provides when dropped. Wrath and Herald of Thunder or Herald of Ice will augment your damage even further. Capping your elemental resistances is essential and it should always be your top priority in any build; it should be the first thing you do when gearing up a character. Obtaining a 6-link, while very powerful and certainly recommended, can potentially be very expensive (requiring an average of 1500 Orbs of Fusing, obviously depending on your luck); as such, this should not really be a goal for you while gearing up, and you should instead settle for a 5-link until you have enough resources. Early on, you should focus on buying or crafting with decent Local Critical Chance and good pDPS (at least 300). Body armours like Belly of the Beast, Loreweave and Lioneye's Vision are fairly accessible and great choices for the build. There are no specific jewels that are required for the build. 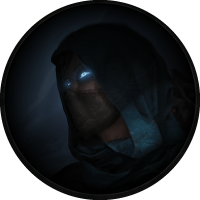 A Watcher's Eye with Wrath mods can potentially be very powerful, but expensive. Lightning Strike is not a great leveling skill, this is why we recommend using Molten Strike early on. With this passive skill tree you will easily be able to reach Blood Aqueduct in Act IX. As you begin a new character, there are few unique items that can boost your power exponentially. Tabula Rasa allows you to have a 6-Linked skill as early as you get the gems. Wanderlust gives a decent movement speed, which will make your leveling that much more efficient. Goldrim provides a lot of elemental resistances, this will let you worry less about gearing when approaching certain Act encounters. While using Molten Strike, you can make use of the following unique weapons : The Screaming Eagle, Hand of Thought and Motion, Story of the Vaal, or The Gryphon. Are there any map mods the build cannot do? Elemental reflect. A combination of No Regeneration and No Leech cannot be done either. The Lightning Strike Pathfinder is a fast paced character that specializes in dealing incredible amounts of elemental damage with its electrically energized attacks.